Those who are interested in the world of psychology will surely have heard the term “mindfulness,” a practice that brings together psychology with elements of meditation. Mindfulness has been used as a therapy for depression, anxiety, PTSD and more, but is also considered beneficial for people dealing with everyday stresses and the pressures of life. But what exactly is mindfulness, and how can it help in the workplace? This is the subject I’ll be covering today. Many people regularly feel rushed and stressed, with too much to do and too little time to do it in. This is especially true of those who are career-minded, and who want to succeed at their jobs. For these people who feel as if they never have a moment to themselves or that they never get a break, mindfulness can help. The basic principle of mindfulness is to stop for a few moments and take time to be aware of exactly how you are feeling, mentally and physically, and to register experiences as they are in the present moment. Instead of the usual racing thoughts, daydreams about the future, or worrying about past mistakes, mindfulness encourages people to force themselves to be still for a minute; to concentrate on their perception and body, rather than being distracted by thoughts of what is to come. This might sound easier said than done, but there are practical ways that people can practice mindfulness. One popular exercise is to find a quiet room and take a small snack of some kind, like a biscuit or a raisin. Then you sit quietly and eat the snack slowly, taking time to think about how you can smell the scent of the food, all the different flavors you taste on your tongue, the feeling of your jaw working, an awareness of your swallowing, and so on. Don’t try to direct your experiences or force them into a certain direction – just allow yourself to observe. By paying great attention to these sensory experiences, you get more in touch with your body and you also calm your mind by occupying it with something present for a few minutes. Those who have experience with meditation will find many similarities between that practice and mindfulness. Meditation teaches people to focus on the moment as well, to observe their thoughts passing without trying to control or follow them. In this way, meditation and mindfulness are very similar. However, meditation takes a great deal of practice. Some people are put off by the requirements to sit in a certain way, or by its association with spiritual or religious beliefs. Mindfulness can be an entry route into the same benefits of meditation, but without the spiritual aspects if those do not appeal. One aspect that both mindfulness and meditation teach the importance of is paying attention to breathing. When people are stressed or anxious, their breathing and heart rate increase, and they feel tense and ready to snap into action at any point. (This is the fight or flight response.) Learning to listen to and feel one’s own breaths can help to slow breathing and heart rate, yielding a sense of relaxation and mastery of oneself. Mindfulness can be particularly beneficial for those who suffer from mental disorders like anxiety or depression, and for those struggling with issues like workplace stress. Many people with mental health issues suffer not only from the symptoms of these issues, but also from feelings of shame or worthlessness that come from not being able to cope with the symptoms. For example, a person who is stressed at work may have trouble sleeping and find themselves being snappy and on edge. They may even feel that they are weak for not being able to cope when their colleagues seem to manage okay. Mindfulness teaches us to observe thoughts and feelings neutrally, without judgement over whether those thoughts and feelings are good or bad. A person who is stressed but practicing mindfulness might note that their pulse is high, that their muscles are cramped, and that they are having problems concentrating, without berating themselves for feeling these things. Simply acknowledging the legitimacy of these experiences without trying to push them aside or feeling guilty for having them can be very helpful in getting symptoms under control. If someone hasn’t tried mindfulness before, it might seem like it would be difficult to start. But in fact, it’s something that can be added into a daily routine without too much trouble. One popular way to learn to start mindfulness and meditation is to use smartphone apps such as Headspace or Calm, which guide users through a brief daily practice. Other people learn meditation as part of a group or in an exercise class like yoga or various martial arts. Finally, more psychologists and therapists are now teaching mindfulness to their clients as part of their service. Even without these guiding lessons, people can benefit from a few simple tricks when they are feeling overwhelmed or stressed. Finding a quiet space is key, as is giving yourself permission to sit quietly for a few minutes. Concentrating on the body and on current physical feelings can help to stop racing thoughts or unhelpful rumination. And trying to accept your thoughts and feelings as temporary experiences rather than things which are good or bad can help to alleviate feelings of shame when you are struggling. These steps can be performed anywhere, so next time you are feeling overloaded at work, try taking a few minutes to be mindful and see if that makes you more productive and less stressed. For more information about how psychology can be applied to the workplace, visit www.discoveryourself.com. In most of my posts, I’ve talked about how personality assessments like Insights Discovery are useful in a business setting. Although it is certainly true that people behave differently at home and at work, fundamental personality traits are largely similar. Personality assessments like Insights can thus be beneficial for personal growth as well as being a business tool. As an example of applying this methodology to personal spheres, today we’ll take a look at how understanding color types can benefit romantic couples. The old saying that opposites attract certainly seems to hold true. People like partners that complement them; there are often couples with one partner who is more outgoing and one who is more reserved, or one partner who is extremely serious and career-focused while the other is more relaxed and fun. Oftentimes, dating someone different than ourselves challenges us to try new things. When we fail to venture outside of our comfort zones, we risk falling into a rut. An opposite partner can push us out of that, and help us embrace parts of ourselves we didn’t know existed. In the same way that opposite pairings can complement each other at work, they can make for fun, engaging, and rewarding couples as well. There comes a time in every relationship, though, when the honeymoon period wears off. After several months together, people know most of what they can know about their partners, and after six months or so relationships typically settle into a set pattern of stable behavior for both partners. This is when relationships become difficult: when partners no longer see each other as new and exciting, and they have to settle into the daily grind of life together. Who will remember to buy milk from the grocery store? Will someone’s partner come along with them to attend a boring work function? What shall we have for dinner tonight? The tedium of the day-to-day reality of a relationship inevitably comes into focus, and this is a point at which many relationships fail. Relationships can only last beyond this point if both partners are willing to make adjustments to their lives for the benefit of the other person, and if they are willing to take time to understand their partner’s needs, goals, and motivations. Understanding the mentality of opposing partners is particularly important when disagreements arise. To take a mundane example: imagine a couple who have theater tickets booked for 8pm. The journey takes 30 minutes, but sometimes there can be traffic. One partner wants to leave at 7 pm, while the other partner thinks this is a ridiculous waste of time, and wants instead to leave at 7:30 pm. This is the kind of disagreement that can balloon into a big argument quickly, with the couple ending up shouting at each other until both are unhappy with their evening out. It could be that the person wanting to leave earlier is a cool blue, who likes planning in advance and is cautious about the risk of being late, which they find stressful and upsetting. And the person wanting to leave later might be a fiery red, who doesn’t like to wait around and wants to optimize their travel time. The blue sees the red as inconsiderate of their feelings and unrealistic about the world, and the red sees the blue as overly cautious and inflexible. The key to resolving disagreements amicably is understanding why a person thinks and feels the way they do. When most couples argue, they attempt to persuade, instruct, or control their partner regarding how they should behave. But understanding is much more important than persuasion for long-term happiness. Such tactics often get ascribed to malicious intent, when in fact there is just a misunderstanding. For example: the blue thinks that the red is deliberately trying to upset them by making them late, while the red thinks that the blue is needling at them about their lack of long-term planning. This couple can explain their worries to each other so that a compromise can be reached. This is why advice about communication in relationships often stresses the importance of “I” statements: I find it upsetting when we are late, I feel uncomfortable standing around with nothing to do, and so on. The key is to communicate feelings, needs, and desires to the partner and to take ownership of those feelings. The red needs to understand that the blue finds even the possibility of being late to be upsetting in a way that will prevent them from enjoying their evenings. And the blue needs to understand that the red finds the idea of standing around waiting while nothing happens to be irritating and anxiety-inducing. Neither of their actions is a deliberate slight of the other or an underhanded attempt to control their partner; they simply have different values which lead them to see the trip to the theater in different ways. When understanding is available, a compromise can be reached: in this example, the couple could leave early and then spend half an hour at the bar before the show starts. This way, the blue’s anxiety about lateness is assuaged, and the red is not irritated by having nothing to do. Of course, not every disagreement will have a simple compromise that can make everyone happy, but the process of communicating one’s own feelings and being open to understanding one’s partner’s different preferences is key to a harmonious relationship. To learn more about how personality assessments can help relationships in business and elsewhere, visit www.discoveryourself.com. In the past I’ve discussed how a number of personality assessments are based on the work of psychologist Carl Jung. One of these assessments based on Jung’s work is the Insights Discovery system, which assigns people into four primary color categories that refer to personality styles (cool blue, earth green, sunshine yellow, and fiery red). From these four color categories, eight personality types are defined, based on combinations of these colors (e.g. the Motivator type is a mix of fiery red and sunshine yellow). However, those who are familiar with Jung will know that he also discussed the importance of dominant and auxiliary traits, meaning that a person may use a blend of several different personality styles or energies. Today I’ll be sharing information on how dominant and auxiliary traits are important for the Insights Discovery system too, by introducing a particular and unusual personality type: the Creative type. What is a Creative Type? The basic Insights Discovery system assumes that most people will be best described by either a single color energy, or a combination of two related color energies. For example, a person may be a results-driven, determined leader (a pure fiery red Director type), a highly sociable extrovert (a pure sunshine yellow Inspirer), or an enthusiastic and positive Motivator type (a combination of fiery red and sunshine yellow). However, there are some people who do not fit this pattern of using two closely related styles. Instead, these people have two opposing styles they use most frequently. These people are the Creative type. A Creative person can channel both fiery red and its opposite, earth green, for example. Or they can be both sunshine yellow and cool blue. 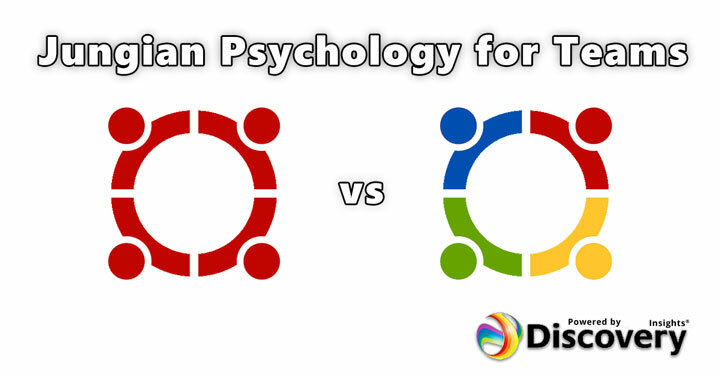 These people are capable of displaying both opposing aspects of personality: in the case of fiery red and earth green, a Creative type can be both a decisive leader and a supportive counselor depending on the situation. This can be confusing for others, as they see the Creative being harmonious and supportive one minute (using their earth green energy) and then flipping to being abrupt and decisive the next (using their fiery red energy). This can make the Creative type hard to identify as they can have many aspects to their personality. How are Two Opposing Energies Balanced? According to Jung, we do not have simply one persona. Rather, we have a persona that we use most often and most consciously, and also another persona that we use less often and less consciously. These are sometimes known as dominant and auxiliary traits. The dominant traits are those that we would most often describe ourselves with – they are related to the way that we wish to behave and wish to be seen. But the auxiliary traits are also an important part of what motivates us, even if we are not fully aware of it. Jung believed that creativity arises primarily from the unconscious mind – that is, from the thought processes that go on in the background of our minds and that we are not aware of. The auxiliary traits are linked to this unconscious mind. For most of us, our dominant and auxiliary personas are similar, but for Creative types, the dominant and auxiliary traits can be very different. A Creative type can be highly detail oriented but can also look at the big picture, or they can think about what needs to be achieved now as well as what could be achieved in the future. But simply having the potential to use various aspects of one’s personality is not enough – in order to be successful, a Creative type needs to have excellent mental and emotional agility to move between aspects depending upon the requirements of a situation. Having a Creative type on a team has both benefits and drawbacks. In terms of advantages, a Creative type can act as a bridge or interpreter between different personality styles, for example by reframing the fiery red’s desire for action into a people-focused approach that will appeal to the earth green. Or they can take the enthusiasm of the sunshine yellow and translate it into logical terms that will be comprehensible to a cool blue. This makes them valuable in promoting team harmony and helping different personality types to understand each other. When a Creative type has good self-awareness, they are able to adapt to a wide range of circumstances and use the appropriate mode for current requirements. However, if they lack self-awareness, they may switch to an inappropriate mode without being aware of it – for example, when trying to motivate an insecure co-worker they may rely too much on fiery red energy and come across as bossy or uncaring. This means that the Creative type can also be unpredictable and hard for others in the team to understand. Other team members may say that they just don’t “get” the Creative person because their behavior can seem erratic. This is why Creative types need careful management and support to achieve their full potential. There is a lesson from the Creative type which is important for everyone. Namely, that personality types are not set in stone, and are not prescriptive – instead they describe the many ways in which people can interact. If someone practices and trains an approach or skill then they will improve, even if it is not something that necessarily comes naturally to them. Just because someone is not naturally extroverted, for example, doesn’t mean they can’t become a great salesperson with practice and training. Also, it is important to be mindful of what thought processes and approaches we use for a given situation. If a manager has a problem with a low performer, then they could try either decisively leading by saying exactly what is expected of them (using a fiery red approach) or supporting and nurturing them (using an earth green approach). Having the self-awareness to decide which aspect of their personality they should use in a given situation is a key skill for better interactions with others. To learn more about Insights Discovery and how it can help to build strong teams, visit www.discoveryourself.com. We all know that making a lasting change to our behavior is tough. Whether someone is trying to develop new work skills, to live in a healthier way, or to make more time for self-care, creating a change that lasts is a challenge. It’s not enough just to have good intentions: people need to make sure that their new behavior becomes a habit in order to make it stick. Fortunately, research in psychology can provide information on how to make behavioral changes that last. Much of the scientific research on behavior change looks at issues of public health, in the context of medical personnel or government workers trying to change the behavior of large groups of people. For example, interventions to discourage people from smoking (such as the indoor smoking bans which were introduced in many countries over the last 15 years), or to encourage them to eat healthily (such as Britain’s “5 a day” fruit and vegetables campaign) try to change the behavior of the public as a whole. Similarly, public health campaigns about washing hands to reduce the spread of disease, or anti-drunk driving initiatives are generally performed on a country-wide level. But there are lessons from these large-scale campaigns that can be informative about individual behavior change. If individuals want to form new habits, then they can benefit from looking at what works on a group level and finding ways to apply these lessons to their own lives. For example, a key requirement of a behavior change campaign is that it must promote a directly actionable activity. It is no use for someone to decide that they want to eat more healthily if they do not have a plan for what healthy eating should look like. To be successful, this person will need a specific goal or set of goals to work for, such as eating several portions of fruit and vegetables a day, only eating fast food once a week, or switching to low calorie sodas. As the example of eating more healthily demonstrates, people need to have not just an intention to change but also a specific and achievable goal to work from. Setting goals is key to motivating people to change, but only if the goal is both challenging and achievable. If a person tries to start a side business, change their diet, exercise regularly, and spend more time with their children all at once then they will almost certainly fail – this is just too many changes at once to be feasible. And then, when the person inevitably fails at one or more of these goals, they will give up on the whole endeavor and revert back to their previous behavior. Just look at the new year’s resolutions that everyone makes, where they spend a few weeks in January trying to change their entire life, only to give up within a few weeks with none of the changes sticking in the long term. It is better to start with one change at a time, and to set reasonable goals for that one change. And a good way to set useful goals is to focus on effort rather than achievement. If someone wants to start running and they set a goal of running a mile in under eight minutes by the end of the month, if they are out of shape then they may well fail and become discouraged. But if the goal is going running twice a week, at whatever speed they can manage, then they can focus on acquiring the habit of going running instead of looking at their achieved speed. After a month or two of running regularly, it will become part of their routine and they will likely learn to run faster anyway. This kind of incremental effort-based change is much more likely to stick than trying to achieve many changes at once. Most people believe that what they think causes their actions. It seems obvious that thoughts cause behaviors, like when someone thinks that they are thirsty so they decide to take a drink of water. But in fact, this view underestimates that importance of unconscious motivations and the environment. Very often, people follow cues in their environment more than they are aware of. A famous experiment had people sit in front of a bowl of soup and eat as much as they wanted – but sometimes the soup bowl was designed so that it would re-fill itself without the person noticing. When eating from the re-filling bowl, people ate much more soup than they did otherwise. How much they ate wasn’t determined by how hungry they were so much as it was influenced by the amount of soup that was available. The practical upshot of this research is that if someone wants to make a change to their behavior, then they should make a change to their environment. In the example of how much food to eat, if someone wants to eat less, then they should try using smaller plates to make their portions look bigger. And the same principle works for other behavior changes too: if a person wants to write every day before going to work, then they should have their writing materials visible and easily accessible on top of their desk each morning. If someone wants to spend less time using screens, then they should sit in a different room without a TV or computer in it but with plenty of books and magazines. It is also easier to stick to a new habit if it becomes part of a regular schedule. If someone wants to reply to customer emails but feels like they never make the time to do so, then they can set a regular time when they first arrive in the office or right after lunch each day to do so. After a few weeks of doing this task at the same time each day, it will become an automatic habit and the person will no longer have to force themselves to perform it as it is part of their routine. Behavior change is just one area where psychology research can be helpful in business and in other areas of life. To learn more about how psychology can benefit you, visit www.discoveryourself.com. When discussing personality types, it is important to remember that people will express their personality traits in different ways depending upon the environment that they are currently in. For example, Insights Discovery is based around personality assessment for a business environment, so it reflects people’s personality style at work more than when they are at home. A key psychological factor which can have a large influence on personality traits is stress: people will express different aspects of their personalities and will react in a more extreme way when they are stressed. As work can frequently be stressful, it is helpful for managers to have an understanding of how different personality types react to stress, what those stressors are, and how managers can help to alleviate this stress. Today I’ll be sharing some thoughts on how stress affects each of the different Insights Discovery color energies. Cool blues are cautious and thoughtful, and they like to plan in advance. Therefore, they are stressed by situations where there is a lack of structure for them to work within, or where they are missing important information which they need to do their job. They hate to turn in work that is of low quality, so they do not like to be rushed and will be unhappy if they feel their work is not up to par. They also value efficiency and exactness, so they will feel frustrated by wasting time. A manager can tell when a cool blue is stressed because they will nitpick over details and question the worth or efficiency of a process. They may become obstinate and dig in their heels if they feel they do not have the information that they need to complete a task. If they feel they are not getting the support they need, they can stop communicating and start making decisions without approval from higher ups. This stress can be managed by getting feedback from them along the course of a project, making sure they have the information that they need, and working with them to analyze inefficiencies in processes. Earth greens care most of all about fairness and positive interpersonal relationships, so they will feel stressed when they perceive there is unfair or impersonal treatment of themselves or others. They care deeply about their ethical values so asking them to bend the rules is another cause of stress for them. They also value a calm and supportive atmosphere so they may become stressed by loud environments, frequent interruptions, or feeling that they are under excessive time pressure. When an earth green is feeling stressed they will tend to withdraw into themselves and become overly cautious. They may be personally hurt by the unfair treatment of someone else, even if it does not directly affect them, and this hurt can be expressed in a judgmental way. They may see themselves as the only one who cares about their values. To manage a stressed earth green, a manager needs to take time to support them in person. There should be plenty of face-to-face contact, and the manger should reiterate that they understand the earth green reacts this way out of a sincere desire for fairness. Where necessary, a manager should be transparent and acknowledge that decisions are not always perfectly fair. But they should then convey that this needs to be kept in perspective – overall, management cares about being fair and takes steps to implement this value as much as possible. Sunshine yellows are sociable and outgoing, so they become stressed and unhappy when they have no opportunities for personal interactions or for fun. While seeing co-workers joking around might seem like a waste of their time, these moments of joviality are essential for the job satisfaction of a sunshine yellow. They can also feel stressed by rigidity and a lack of flexibility, and they can become hurt by what they perceive as personal rejection from co-workers. The warning signs of stress from a sunshine yellow are that they become overly emotional, even melodramatic. They may become opinionated and argumentative when they feel that they are being excluded from the group. To mitigate this, a manager should allow as much flexibility as possible so the sunshine yellow can prioritize and organize their own tasks. If they become overly fixated on a feeling of exclusion, a manger can re-direct their energies onto a new task which can be an effective distraction. Sunshine yellows highly value approval so they should be allowed to save face and maintain their reputation wherever possible. Fiery reds care about action and decisiveness, so they are stressed by a lack of focus and a lack of control. Waffling, u-turns, and indecision are frustrating to them because they throw themselves fully into a project and they do not like having to readjust their goals. When a fiery red is stressed they will double down on their decisive and confident traits, and they can become aggressive, demanding, and overbearing. They can become snappy or rude to co-workers and they will be visibly impatient when they think a decision is taking too long. To handle a stressed-out fiery red, a manager can take two different approaches. The first is to allow the fiery red to take control of the project or process, and trust that they will push forward until a decision is made. This is a good approach for an experienced and trusted fiery red. The alternative approach, if the manager is not confident in the fiery red’s ability to lead yet, is to get them to take time out away from the project. Now might be a good time to send them on a training course or to learn a process from another department. Or they could be directed to a different aspect of the project which requires immediate action, which will give them something to do while further decisions are being made. To learn more about how personality assessments can benefit managers and employees, visit www.discoveryourself.com. Personality assessments are useful not only for participants to understand themselves better, but also to understand the other people around them. Interacting with people with very different views and priorities can be challenging, but Insights Discovery can suggest ways for people who are opposite types to work together more smoothly and effectively. Fiery reds are action driven, confident, and focused on their goals. Their opposite type are earth greens, who are calm, supportive, and ethical. A fiery red can see earth greens as docile, inactive, resistant, or stubborn. The methodical, careful progress of the earth green can feel frustrating and plodding to the active fiery red type. To get the most from interactions with earth greens and to avoid losing their temper, fiery reds should practice patience and try to hold back from jumping in to every task head first. There can be great value in pausing to think an idea through before getting caught up in the action, and earth green can help to provide this balance. A skill that earth greens can offer to fiery reds is the ability to see other’s points of view and to foster consensus. While a fiery red would likely try to resolve a dispute between members by imposing a rule or view onto the whole team, an earth green will try to find a compromise where everyone is happy and where every member of the team feels respected. As fiery reds are often natural leaders, they motivate and push their team to achieve more. But they also benefit greatly from having an earth green as a fellow manager who can soothe team members and support them when they are stressed. Fiery reds should learn to see the value in this more caring, empathetic approach and learn when to deploy an earth green to smooth over difficult social situations. The patient and caring earth greens can find the forward and assertive fiery red type to be aggressive, controlling, and overbearing. The tendency of fiery reds to take charge and to push others towards goals can chafe the earth green who wants everyone to feel respected and understood. It will help earth greens to remember that democratic relationships are indeed important, but sometimes it is necessary for someone to lead decisively. If an earth green feels like they or others are being steamrolled by the fiery red, then they can try raising these concerns outside of a high-pressure group meeting situation. A fiery red will be much more receptive if the earth green can voice their issues in terms of impediments to action as opposed to personal feelings. An earth green can benefit from the push that a fiery red provides, as this can prevent them from overthinking and compel them to action. Also, there may be situations where it is not possible for everyone to be happy, and a fiery red will push for an acceptable solution where an earth green can be paralyzed by indecision. Sunshine yellows are sociable, creative, and love to dream about the future. Their opposite type is cool blues, who are methodical, analytical, and precise. Sunshine yellows can perceive cool blues to be cold and reserved, and find it strange that they are more focused on rules or data than on people. To a highly people-focused sunshine yellow, it may be almost inconceivable that anyone would not think primarily in terms of social interactions. Therefore, when interacting with cool blues, it can help sunshine yellows to remember that focusing on data over interpersonal relations does not mean a lack of care for other people – rather, cool blues want to be fair to all people, and they express that care in a data-driven way. A cool blue can make a strong partnership with a sunshine yellow. The sunshine yellow person can imagine great concepts for the future and raise enthusiasm for the project among other people, while the cool blue can come up with the realistic ways to achieve those concepts in the real world. The pragmatism of a cool blue can be an essential reality check on the dreamy nature of a sunshine yellow, as long as the sunshine yellow doesn’t take this pragmatism personally. They should remember that when a cool blue expresses skepticism about an idea, they are not trying to be negative – they are searching for a way that the idea can realistically be achieved. Conversely, when analytical and logical cool blues have to interact with excitable and dynamic sunshine yellows, they can find them to be hasty and imprudent, or even disorganized and a “head in the clouds” type. It will help cool blues to remember that, unlike themselves who tend to think through an idea carefully before voicing it, other personality types like to think out loud in a discursive manner. Just because someone says something that is not totally logical or they share an idea which is not fully thought through, it does not mean that the person is silly or vacuous. They should understand that people use discussion as part of their thinking process and try not to judge excited sunshine yellows when they take an idea and run with it. A sunshine yellow can help a cool blue in tasks like drumming up support for a project. For example, if a cool blue finds a way to make a system more efficient, then they may push for their new system to be adopted and be surprised when they are met with a lukewarm reception. To the cool blue, if the new system is more logical then obviously everyone should support it. But a sunshine yellow knows that they need to sell people on the new system with enthusiasm and a sense of fun, which can be far more persuasive than logic. A cool blue who comes up with a concept and a sunshine yellow who gets everyone on board with the concept can make a great team. To learn more about Insights Discovery and how it can help colleagues understand themselves and each other, visit www.discoveryourself.com. Understanding the different personality types of a team is important for managers not only so that they can build an effective team, but also so that they can gain insights into how to manage each person. Today I’ll be discussing tips and techniques for managing each of the color energies in the Insights Discovery system. People who are cool blue in temperament are thoughtful and like to plan out events and activities in advance. Typically, they will be organized and know their processes very well, following instructions exactly. But one challenge in managing them is they are not the most adaptable of people; they need to be given time to consider and process new information and ideas. If a new concept or model is introduced to a cool blue, they may not be particularly enthusiastic about the change straight away. This does not mean that they are rejecting the change or that they will be unable to cope with it, but they may require a few days to adapt to the new mindset required of them. One practical tip on managing cool blues is to give them a heads up (wherever possible) of new issues that may arise in the future. A manager who can let their cool blue team members know in advance that changes will be forthcoming – for example, that this year an annual process will be changing, or that brainstorming sessions will be moving from regular small meetings to occasional large meetings – will find that the cool blue person has planned and anticipated the change and is more ready for it. This gives two advantages: firstly, the blue person will be able to contribute useful ideas as they have had time to consider and aren’t being forced to respond off the cuff, and secondly, they will be more positive about adapting to change when they know to expect it. Earth green people are driven by their values, which often focus around sharing, harmony, and fairness. This means that in order for a manager to win the loyalty of an earth green person, they must explicitly demonstrate their even-handedness and explain their reasoning. For example, if a manger is planning to end a contract with a vendor and to move to another vendor, it would be wise to let the earth green members of their team know about why they are making this change. Even when it is not strictly required for the green person to know about the reasoning to perform their job, they will be more supportive and enthusiastic if they see that their manager has good reasons for making this choice. This is because earth green people care deeply about personal relationships with co-workers. If the green person perceives their organization as being capricious or opaque about their motives, they will not trust them and will not perform well. And this interest is not self-centered: a green can perceive a colleague being treated badly by a manager to be as damaging as if it were happening to them. To build the best relationship with an earth green, a manager should be as fair as possible and be transparent about that fairness. The highly sociable sunshine yellow type is passionate, enthusiastic, and has a strong vision of the future. If a manager wants to sell their team on a new concept or process, then getting the sunshine yellow members of the team on board is key. These people will then cheerlead for the idea and get everyone else in the team to accept and embrace the new concept too. If a person who can drum up energy and get everyone involved is required, then the sunshine yellow is the type to turn to. However, sunshine yellow types can be distractible and disorganized. When managing such a person, it is important to clearly lay out the essential requirements of a task and not let the person focus only on the “fun” parts of a job. Also, sunshine yellows can have a tendency to overwhelm other less outgoing team members, especially if there are a high proportion of yellows on a team and their visions are closely aligned. In this case, encourage sunshine yellows to pull back sometimes to allow space for others to express their ideas. Fiery reds are active and hands-on, and they like to find the most efficient way of performing their tasks. This means that they can be very adaptable and amenable to change, as long as their manager can demonstrate to them how the new system will create a better outcome than the old system. Unlike cool blues, fiery reds are not interested in considering every small change in depth – they would rather learn by doing and are focused on the present moment rather than ruminating about the past or future. If a fiery red needs to learn a new skill, it is best to hand them the tools and let them puzzle through the challenge for themselves rather than trying to teach them everything in advance. One useful but occasionally frustrating aspect of managing a fiery red is their pragmatism. They are not the type to be swept up by great oratory or to embrace an idea because it sounds new and exciting. Instead, they want to see a clear and realistic vision with concrete steps outlined that will achieve that vision. When trying to motivate a fiery red, do not focus on abstract concepts or too much big picture talk – instead, give them grounded, actionable steps which they can follow to achieve the desired goal. This is just scratching the surface of the ways that psychometric testing can help managers interact with and motivate their team. For more information on this topic, visit www.discoveryourself.com. One of the advantages of knowing one’s own personality type and being aware of the other personality types that might be encountered is evident in a business setting. Those in management positions have the most authority to force others to adapt to their own style – but to get the best from their workers, it actually benefits managers to adapt to others to some extent. For a productive team and a harmonious environment, it is a good idea for leaders to learn techniques to accommodate the preferences and personality types of those around them. Today I’ll be sharing some practical tips on how managers can adapt to the style of others. One big differentiator between various personality types in a work setting is their preferred method of communication. Introverted people often prefer to communicate through email, as it allows them time and space to process information and formulate a cogent response in their own time. Extroverted people, especially those who like to think out loud in a collaborative way, will often prefer to stop by someone else’s office in order to discuss an issue and get input on it. People who are highly skilled at multitasking may prefer talking on the phone so that they can accomplish some other small tasks while discussing a topic. Of course, business necessities will always trump personal preferences. If a manager needs an answer immediately, then they are going to drop by others’ offices or call them to save time. If employees work remotely, then email will be the default. However, outside of these necessities, it is advisable for managers to be flexible. If they know that a given employee will give their best response to a query via email, then it makes sense to allow them to use that communication method where possible. Another related issue is the complexities of communication style. This is an issue in which many people lack self-awareness, which is why it is important for managers to be proactive in addressing this topic. Some people, particularly those who are strongly focused on tasks, will want to know only the essential information that they require in order to complete their job. Giving these people more detail when communicating will only confuse or frustrate them. Other people, particularly those who are focused on relationships, will want to understand the part that their role plays in the bigger picture. Therefore, they will appreciate being furnished with all of the details of a situation even if it doesn’t directly affect them. Managers who take note of the personality types of their employees can communicate with them more clearly by giving the appropriate level of detail for that personality type. A manager might choose to give a few key bullet points versus explaining an issue in depth, for example, depending on the preferences of the people they are addressing. When a manager needs to address a number of people, such as when emailing a group, then for maximum clarity they can include both: have bullet points with the essential information at the top, and then a section with additional information at the bottom. This way, the readers of the email can pick the appropriate level of communication for themselves. A challenge of the modern office is the dreaded meeting. Meetings are essential for conducting many aspects of business successfully, but they can be draining and are rarely enjoyed by all of the participants. When looked at in terms of personality type, this dislike of meetings is unsurprising. With multiple different personality types in one room trying to make progress all together, it is almost inevitable that there will be difficulties. Managers have the chance to set the expectations and tone for meetings, and to moderate to make them more productive and helpful for everyone involved. The first step to a more productive meeting is to set goals clearly: is the purpose of the meeting to brainstorm, to plan, or to troubleshoot? Knowing the goal will help keep participants on track and allow different personality types to approach the topic in their own way. Also, is a meeting actually required? If the purpose of the meeting is purely to update others, for example, then this is best accomplished by sending out an email instead of gathering everyone together. The second step is to send out an agenda for the meeting in advance. This will allow introverts to plan what they want to say, rather than forcing them to make off-the-cuff comments. The third step can be accomplished as a part of the agenda or as an in-person introduction, and that is to have a clear structure for the meeting. For example, first go around in a circle to share ideas or opinions without interruptions, and then have a free-for-all discussion session. This structure will help the more rigid team members know when to give input, and the more go-with-the-flow team members can thrive in the free discussion session. When it comes to presenting to a group, being aware of other personality styles can be a challenge. There are distinctly different learning styles as well as personality styles to consider, but a presenter will not always have a lot of information about a group’s styles before talking to them. Learning styles can include a preference for auditory material, written material, group discussion, or active engagement for best learning. However, this needn’t be an insurmountable problem. Presenters already tend to use different teaching modalities – i.e. they talk to the group which is ideal for auditory learners, and they use slides which are good for visual learners. To make a presentation more accessible for other learning styles, presenters can set aside some time for group work and for practical hands-on work as well. These two new modalities will help those who learn best by talking an issue through with others or who learn by doing. Combining this approach to presenting and teaching with a personality-based approach for communication and meetings can enable managers to get the most from their employees. To learn more about personality styles and how knowledge about them can benefit managers, visit www.discoveryourself.com. Thinking of the most important skills for a leader to have, most people will suggest qualities such as vision, charisma, determination, or discipline. But there’s one quality which rarely gets acknowledged in discussions about leadership but that is absolutely crucial, and that is self-awareness. The concept of self-awareness covers two related aspects of personality: internal self-awareness, meaning how accurately a person perceives their own values, strengths, passions, and so on, and external self-awareness, meaning the degree to which a person knows how they are perceived by others around them. Both of these aspects are essential for effective leadership. A recent article in the MIT Sloan Management Review was written on the basis of interviews with more than 2000 international executives, and it found that self-awareness was crucial for leadership. In fact, the authors Ginka Toegel and Jean-Louis Barsoux argued that self-awareness is the single most important capability for a leader to develop. This is because to be successful, a leader needs to know about their own limitations and idiosyncrasies in order to allow for these factors when making decisions. Self-aware leadership isn’t just important as an executive skill – it can affect a company’s bottom line too. A study by the Korn Ferry Institute found that in companies with employees who scored well on measures of self-awareness, there were significantly higher rates of return of stock when compared to companies with employees that had more blind spots about their own performance. Another study found that a high score in self-awareness was the strongest predictor of overall success. So self-awareness is more than just a useful add-on skill: it is an essential part of getting results in business. The same Korn Ferry Institute study mentioned previously also found that 79% of the participants had at least one blind spot in their self-awareness – meaning that 79% of people had a skill that they considered to be a strength but that their co-workers considered to be a weakness of theirs. This shows just how hard it is to be truly self-aware at work. As we’ve discussed before, people are generally pretty poor at assessing their own performance. The problem is that in order for a person to know if they are a skilled performer in, say, communication, they have to know a lot about the topic already and know enough about what makes a person a good communicator. If someone lacks this knowledge, they are likely to overvalue their own performance because they don’t know what they don’t know. When trying to cultivate self-aware leadership, it is not enough for a leader to think about their own perceptions of their strengths and weaknesses. They need to gather feedback from co-workers too. These difficulties with self-assessment are why receiving feedback is so key for self-aware leadership. Often, feedback from co-workers can differ markedly from how managers perceive themselves. For example, managers want to be seen as open to new ideas and attentive to their employees, so they will often rate themselves highly in these skill areas. But employees might disagree – they might find that the manager is dismissive of issues they raise, or is overly rigid in their approach. The important thing for leaders to realize is that when it comes to skills assessment, perception is reality. If underlings feel that their manager does not take them seriously, then this is the reality – no matter what the manager thinks about their own skills. Real world examples show how even a leader who believes that they are doing everything right, and who is getting good results for the company, can be perceived as a problem by co-workers. Given how crucial self-awareness is for leadership, it is notable that it is rare for the topic to be covered in MBA courses or other forms of business education. Leaders can’t rely on their existing knowledge to achieve self-awareness – it requires active and ongoing examination and practice. Some of the ways that leaders can improve their self-awareness include gaining information by soliciting and listening to feedback, taking leadership coaching, and by taking personality assessments. To get the most from these information sources, leaders need to train themselves and promote the concept of effective listening: not just nodding along while others talk but actively engaging with them to understand their perspective. The more a leader listens, the more informed they will be about how they are perceived and what their strengths and weaknesses are. Other changes can help to encourage a self-aware leadership style too, such as adopting daily mindfulness practice to improve awareness of one’s own state and emotional responses, and taking regular breaks so that decisions are contemplated carefully instead of being made on autopilot. It’s worth remembering that self-awareness is a key skill for a leader, but that doesn’t mean that there is only one way to lead effectively. For example, a leader might be conflict averse and struggle with giving negative feedback – but as long as they are aware of this, they can get support from other members of their leadership team when they need to have a tough conversation. Conversely, if a leader has a very direct communication style and has a tendency to come across as harsh, then they can call on more diplomatic communicators from their team to help them make a good impression in meetings. In either case, the leader has some strengths and some weaknesses, but by being aware of these and surrounding themselves with people with complementary skill sets, a more effective team can be formed. To learn more about how personality assessments can help to develop self-awareness, visit www.discoveryourself.com, and check back to our blog soon for more articles like this one. In the past I’ve talked about the basics of Jungian psychology and how psychometric testing can benefit businesses. Today I’ll dig more into this topic to show the practical ways that Jungian psychology can help to form, manage, and motivate a team at work. One of the most valuable ways that personality testing can benefit a team is by giving team members space to express their preferences on matters such as favored methods of communication, feedback style, motivation, and so on. In the typical workplace, there are processes that are followed and methods that are used across entire departments or companies. But it can help to tweak these processes in recognition of the fact that individual workers have different habits and styles which allow them to work mostly effectively. For instance, maybe one person prefers to always be kept in the loop about a project, even including the small details that don’t directly affect them, so that they can understand the overall project. Other people could find constant updates that they don’t need to be annoying or distracting. In this way, both performing personality assessments and the process of discussing personality test results with a team are opportunities for team members to express their ideal working situation and setup. A manager might not necessarily be able to meet all of these preferences  for example, if a team member indicates that they prefer to communicate via email over communicating by phone, there might still be a weekly meeting with a client which needs to be done over the phone. But often, preferences can be taken into consideration with no loss of productivity or achievement. In fact, letting people choose the manner and style in which they work can be beneficial to both morale and results. Some people think that in order to be successful, a team needs to be made up of members with similar personality types. It’s common, especially among new managers, to think that a team with similar temperaments will work together more efficiently. However, a team made up of a mixture of personality types is usually more effective. For example, it can help to have one team member who is outgoing and social, who can build bonds with other teams; one member who is detail oriented and will check all work for mistakes; one team member who takes a leadership role and corrals and motivates the others, and so on. For this reason, it’s good to have a team that is diverse in terms of personality type. What a Jungian style personality assessment can describe is the strengths and weaknesses of each team member, so that tasks can be assigned accordingly. Of course, tasks can also be assigned to someone who is not specifically typed to be good at them. For example, if a team member has a role that requires communicating with customers then they will need to develop strong social skills, even if they are naturally more introverted. It is not impossible for an introverted person to perform this task well, but they may need more coaching and support in this area than a person who is naturally more outgoing and sociable. Another useful way to apply personality data to teams is using it to understand interpersonal conflicts. Even on the most professional teams, there will still be times when the needs or priorities of team members conflict. When this happens, a work issue can quickly become personal and team members can feel bullied, undervalued, or unhappy. Understanding personality types can help throw light onto these conflicts. For example, it might be that one person values direct, forthright discussions, but another person perceives this communication style as brusque or rude. By educating each person about the other’s perspective, these team members can identify the source of their conflict and adapt to the needs of the other. Or if someone is anxious because they feel they are being left out of the loop, it will help other team members to understand not only that they ought to update the person more often, but also the reason for this action (that the person is someone who likes to keep an eye on the big picture and therefore wants to stay informed). There are many ways that psychology insights can be used to build a team. One of the most common uses of personality assessments is during recruitment, where candidates are given personality assessments as part of the hiring process. These assessments can be a great source of information, but they should be used carefully. Too often, a hiring manager has an idea of what type of person that they want on their team  for example, that they want a new hire to be of a similar age and background to other team members, with similar interests and experience. This can lead to an overly narrow focus in which excellent candidates are passed over because they do not fit the narrow scope of what the hiring manager is looking for. Like the concept of “company culture,” personality assessments can be used in a way that is discriminatory if they are not approached with care. A personality assessment should give information about the potential strengths, weaknesses, and preferences of a candidate, but hiring managers should remember that a diversity of personality types on a team is a key to success. Managers should not be afraid to hire a great candidate with relevant experience just because they are not the “right” personality type. Other ways that learning about personality types can benefit a team include as part of team building exercises so that team members can learn more about each other and how to interact, in personal and professional development such as identifying current weaknesses, or mentoring and coaching to improve on those weaknesses. But perhaps the most valuable use of personality information is the creation of a space in which a team’s communications, processes and brainstorming can be improved. In the next post I’ll discuss how to effectively lead a team with a post on self-aware leadership, so come back soon for that!